Pedro Sánchez’s statements come in response to the US president urging Spain to increase its defense contributions. The Socialist Party (PSOE) leader made these remarks at a Madrid meeting with the head of NATO on the same day that it emerged that Spain, like several other NATO allies, had received a letter from US President Donald Trump complaining that they are not contributing enough to collective defense. The letter urged Sánchez to increase military spending to 2% of gross domestic product (GDP), as promised at the Wales summit of 2014. Spain is one of the NATO members that spends the least on defense: 0.92% of GDP in 2017, only ahead of Belgium (0.90%) and Luxembourg (0.46%). 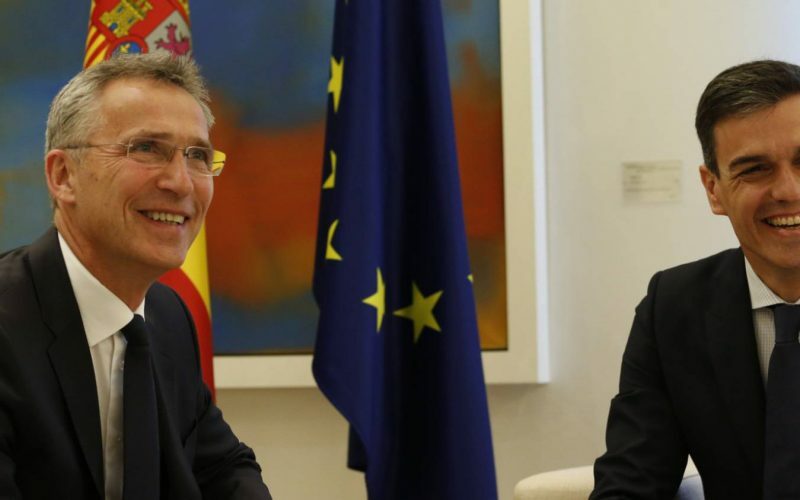 The statement notes that Spain has deployed 1,161 troops on NATO missions, 616 on UN missions and 757 on EU missions. Spain is also part of the Global Coalition Against Daesh, to which it has contributed 581 members of the military who are helping train the Iraqi army. The release does not mention Trump’s letter, the content of which EL PAÍS revealed on Tuesday. The US president reminded Sánchez that his predecessor, Mariano Rajoy, had pledged to raise defense spending during a bilateral meeting in Washington DC in September 2017. Spanish diplomatic sources underscored that some NATO allies with much higher defense spending, such as Turkey or Greece, have a much smaller participation in NATO missions and focus essentially on self-defense.